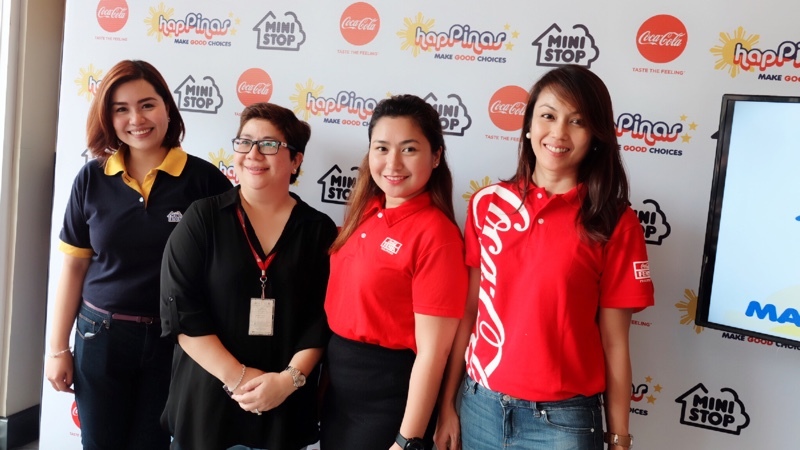 Recently, I was invited at Ministop Eastwood for the new campaign launch of "HapPinas". Very timely indeed, Ministop and Coca-Cola joined forces to promote making right choices towards a fulfilled nation and more contented everyday life. 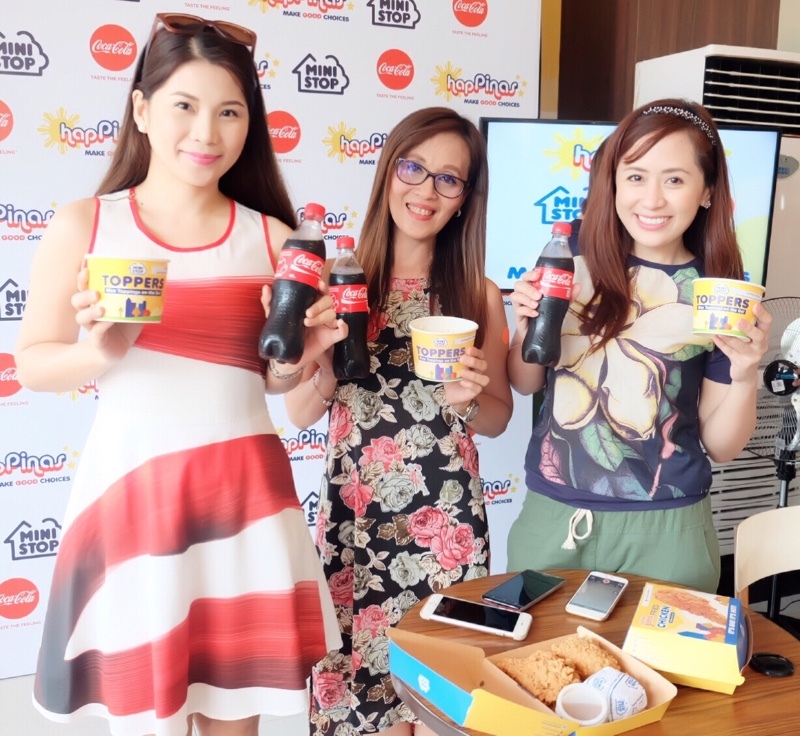 Every Filipino will definitely enjoy a wide range of affordable Ready-to-Eat selections with Coca-Cola products under "Good Choices" combo meals from April 11 to June 5, 2016. 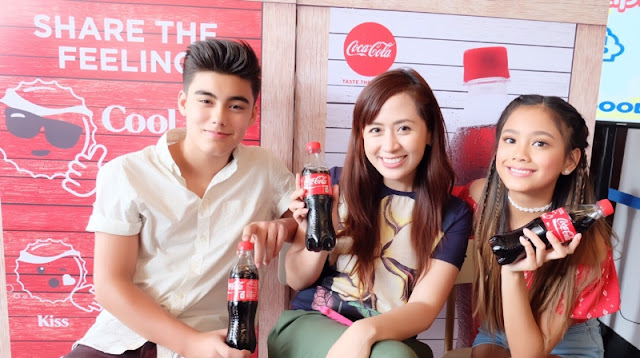 During the launch, Coca-Cola endorsers Bailey and Ylona, also known as loveteam "Bailona", graced the attendees and guests with a meet-and-greet session. I personally enjoyed being there because, for years, I have always been a fan of fresh and reasonably priced Ministop meals. I like that all Ministop stores have built-in kitchen that ensures consistent quality all throughout the day. Guaranteed Hot and fresh-from-the-kitchen food 24x7 is happiness indeed! Oh, I should say "HapPinas". When I was still in college studying nursing even up to now, Ministop's Kariman has been my favorite snack then I always top it with their delicious ice cream. I love all the refreshing flavors! My kids are always delighted in the leche flan and other quick bites. 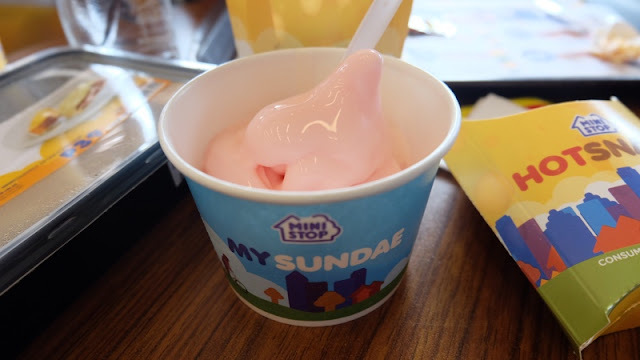 Ministop always innovates and ensures to bring more to the table. You have to try the new Chicken Schnitzel, crunchy chicken breast filled with tasty cheese and chives sauce. It sure is a champ! Also, I always come back for refreshing ice-blended drinks. 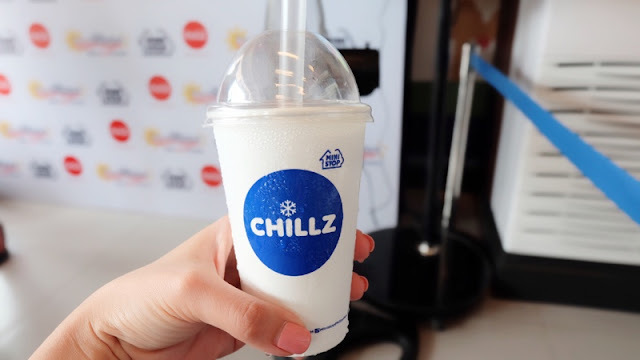 Now, beat the summer heat and treat yourself with the first ever Cloud 9 Chillz. Wait, there's more! I am so excited to try the newest Strawberry Cheesecake soft serve ice cream. 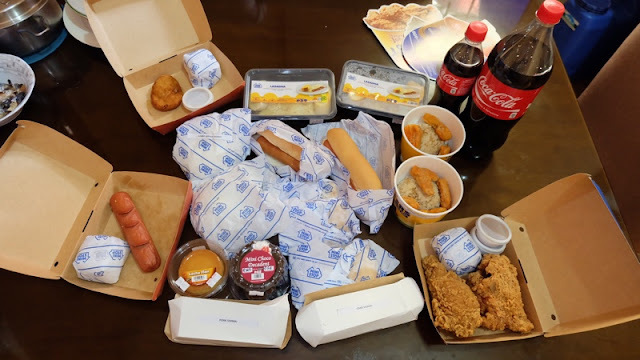 I haven't told you the combo meals yet but I know you're super ready to go to the nearest Ministop already. 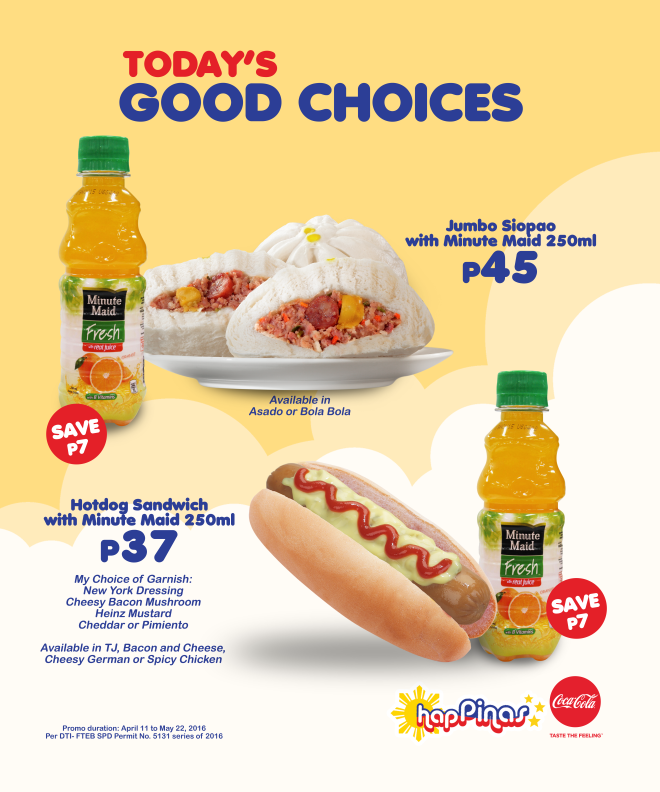 Grab your perfect snacks, all-time favorite Jumbo Siopao (Asado or Bola Bola) and Minute Maid combo for only P45, and Hotdog Sandwich and Minute Maid combo for P37. 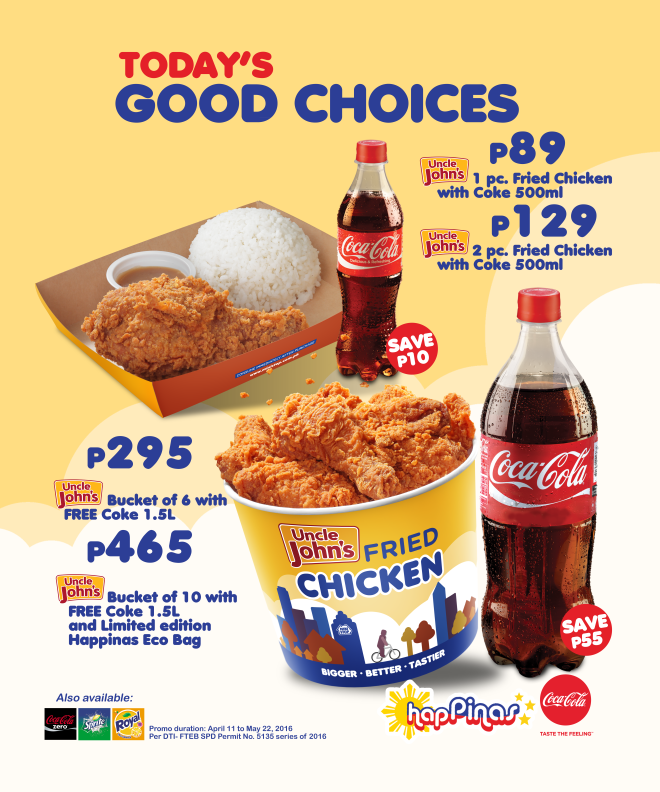 If you're up for full meal, have some freshly cooked Uncle John's Fried Chicken in 1-piece or 2 piece meals with 500ml Coke for only P89 and P129, respectively. You can also share HapPinas with your friends and family with a bucket of this crunchy and juicy fried chicken. A bucket of 6 pieces with 1.5L Coke bottle is priced P295, while a bucket of 10 comes with 1.5L Coke and Free eco bag at P465 only! 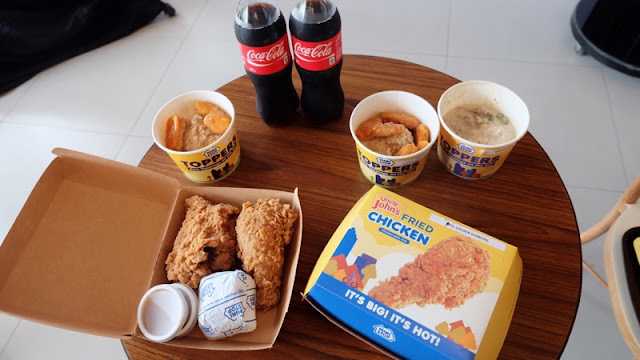 You will never be disappointed when you go for Good Choices at Ministop. All of us can have HapPinas. "Making the right choice" seems to be the hype nowadays because of the upcoming elections. Although I couldn't vote since I am not a citizen, I am a part of the Filipino community who hopes and prays that everyone will make the right choice for a better Philippines.